Welcome to Husky Transport Ltd.
Husky Transport Ltd. is a company based on a tradition of high standards and safety and has a reputation unrivaled in the industry. As a third generation family operation, Husky Transport Ltd. can be relied upon where and when it counts. Reliable professional people and quality equipment make all the difference and this can be seen in results. 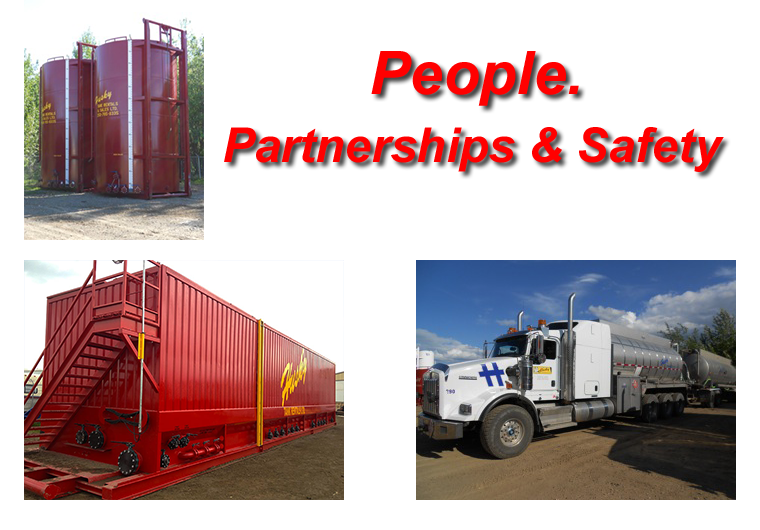 Husky Transport Ltd. specializing in the transport of produced water, acid, crude oil, drilling fluids, frac fluids, methanol, glycols, condensate. A fully modern fleet of tank trucks, trailers, vac/hydrovac, bed trucks and truck tractors.